The story is all true and happened to me and is mine. Tony’s mom, Al, is a terrific single mother who works as a dancer at the Kitty Kat Club. Twelve-year-old Tony is a budding artist, inspired by backstage life at the club. When some of his drawings end up in an art show and catch the attention of the social services agency, Al and Tony find themselves in the middle of a legal wrangle and a media circus. Is Al a responsible mother? It’s the case of the stripper vs. the state, and Al isn’t giving Tony up without a fight. Once again Gary Paulsen proved why he’s one of America’s most beloved writers. 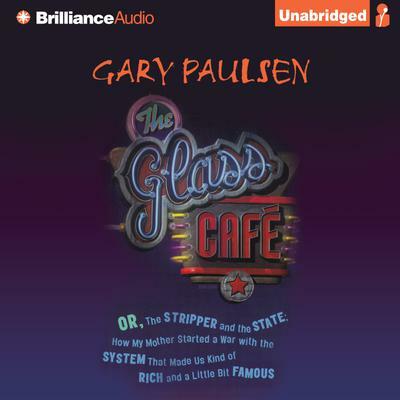 The Glass Café is a fresh and funny exploration of motherhood, art and the wiles of storytelling – all told by Tony, in his own true voice.